Chocolate isn’t considered junk food anymore — it’s a superfood! Sugar, butter and milk dilute the health benefits of cacao, however, so stick to dark chocolate with at least 70% cacao. Here are six, guilt-free beauty and health benefits of chocolate to help you indulge. 1. You’ll have great skin! It is rich in antioxidants, which means that it can help keep your skin firm and smooth as you age. It nourishes and softens dry skin. Flavanols (found especially in dark chocolate) help your skin protect itself from UV damage. Several studies have concluded that eating chocolate has cardiovascular benefits. It cuts the risk of heart attacks and strokes, and can also help to lower blood pressure. Just don’t forget to skip your workout — you need it to balance the extra sugar, butter and milk that you will be consuming. Believe it or not, cacao — the pure form of cocoa — is also great for your hair! 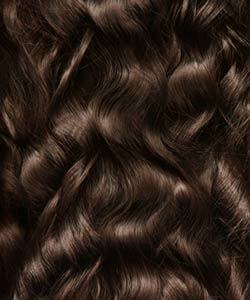 Cacao adds shine and rebuilds the hair’s structure. Cocoa butter can be used as a hot oil treatment to condition your hair. There are also many products that contain cacao — check out Carol’s Daughter Chocolat Smoothing Conditioner or Miss Jessie’s Curly Buttercreme for starters. Substitute a bar of dark chocolate for that Ben & Jerry’s Ice Cream. 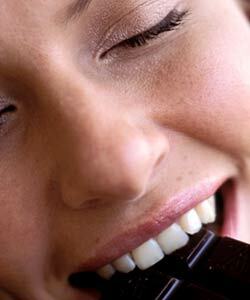 Swiss scientists discovered that when anxious people ate chocolate, their stress hormone levels were reduced. On a time crunch? Taking an exam? The flavanols in chocolate (particularly dark chocolate) increase blood flow to the brain, which will help you concentrate on the task at hand. 6. Eat chocolate and get happy! Best of all, chocolate simply makes you happy. 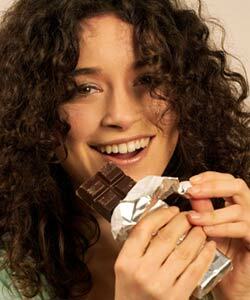 And if you eat chocolate high in cacao (in moderation), you will remain healthy and happy for a long time! Happy Valentines Day, curly girls!